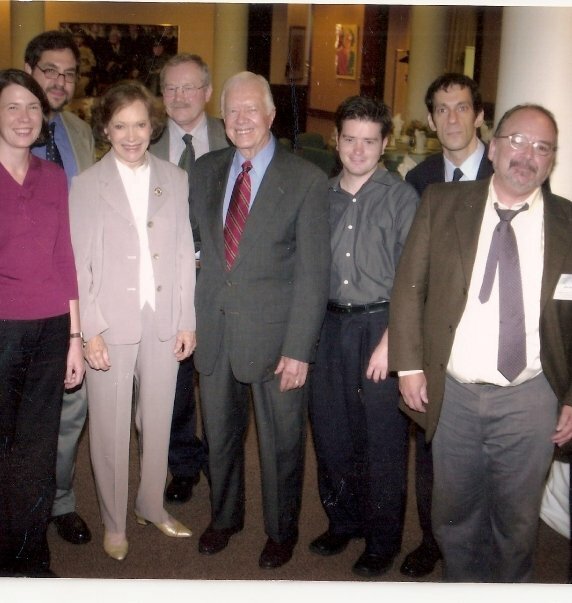 Rosalyn Carter and President Jimmy Carter with me lurking in the background looking freaky. I won a Carter Center journalism fellowship and they had us down to Atlanta. I can not say enough about that woman, she is wonderful and treated me with such respect, compassion and kindness. She’s a saint.